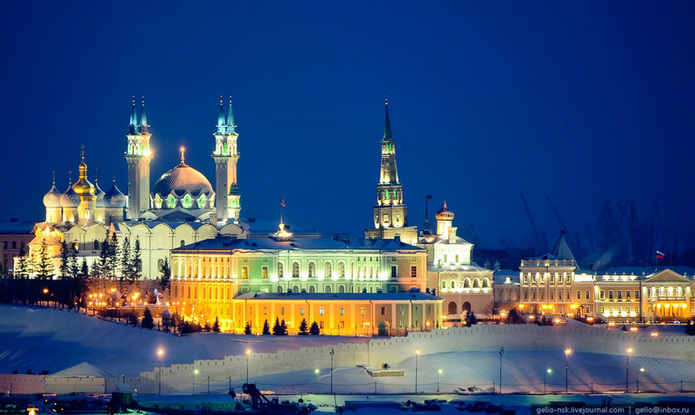 Kazan is a beautiful thousand year old city. That is the place where Christianity and Islam have been living in peace for centuries. City’s architecture, traditions and religion are keeping the trails of the international past. That city is proud about its glorious past. Meeting with company representative. Transfer to hotel. Kazan Kremlin excursion. 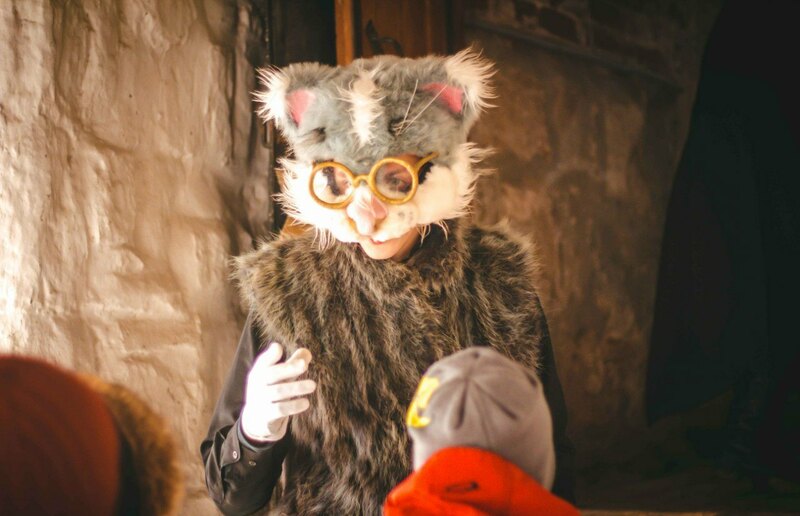 Kazan Cat shows you the secrets of ancient Kazan fortress during the hour full of adventures. New-year’s city general sightseeing tour. Visiting old Tatar Quarter (visiting the oldest stone mosque of Kazan included), Kazan Kremlin (stone fortress of XVI century with perfect panoramic view), Kul-Sharif mosque (one of the largest in Europe).Lunch. Sightseeing tour continues. Visiting The Virgin Monastery (the place where the Icon of Our Lady of Kazan is located) and Catholic Church of Exaltation of the Holy Cross. Visiting the city’s main celebration spots.Dinner. *Visiting evening celebration dinner at will (for additional price). Visiting the “Residence of Kysh Babay”, old winter wizard and Tatar national Santa. You will have a trip to the forest land, full of mystery and legends, to a place, where the magic and reality connect and mix together. Moreover, you will see all the friends of Kysh Babay (which translates as “Winter Grandpa”) and participate in local events, helping famous tatar characters. At the very end, you will have fun with our winter wizard, go inside his mansion and even sit on his throne! Lunch at “Kyrlay” restaurant. Returning to Kazan. Sightseeing in Sviyazhsk. Sviyazhsk is a beautiful old town (XVI century) nearby Kazan. The town is located on the isle between 3 rivers. Magnificent panoramic view of the isle is filled with bright history. That is a great opportunity to participate in historical quest-game. Returning to Kazan. Lunch. 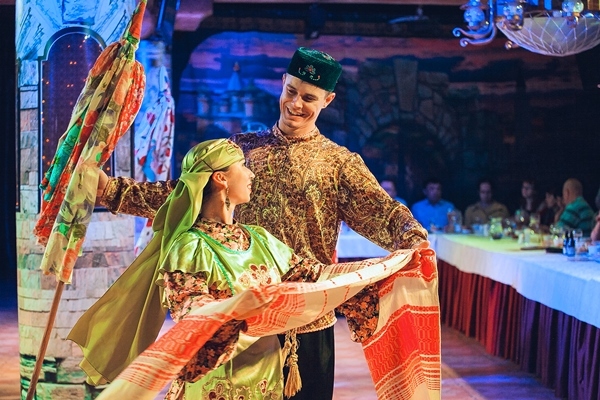 Visiting national evening “Kazan-show” performance with traditional tatar dinner. You will see all the historic stages of the local land settlement and spectate the colorful music performance, as well as try traditional dishes at the evening celebration table. Visiting The Virgin Monastery of Raifa outside the city. That is a tranquil area, as peaceful and quiet as it may be. It is so easy to be open minded here; probably, people are attracted to that place, because they find all answers to the questions. The only way to know for sure is to check it out personally. The price includes excursion and transportation services, tickets, accommodation, meals and interactive programs.